Personalised Father of the Bride Wine Box makes the perfect presentation box for any standard size 750ml, wine, spirit or bottle of champagne. 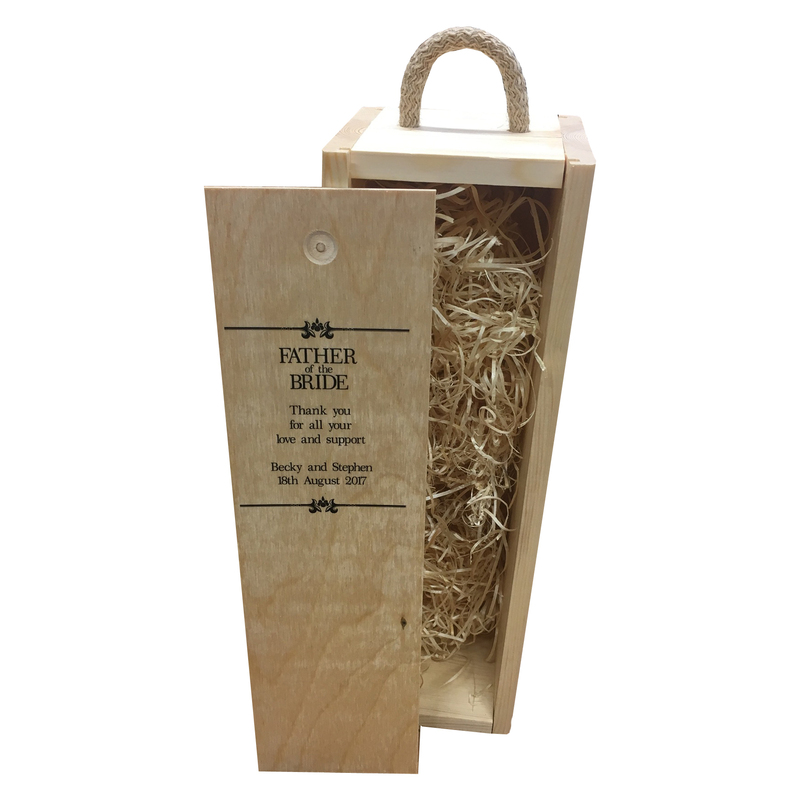 This wine boxes can be personalised with any message which makes this gift a unique and special gift for your Father. Make this gift extra special by adding a photo. Add a photo by uploading or leave blank to not include a photograph. 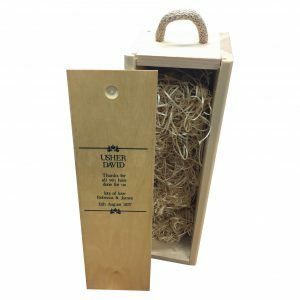 Personalised Usher Wine Box makes the perfect presentation box for any standard size 750ml, wine, spirit or bottle of champagne. 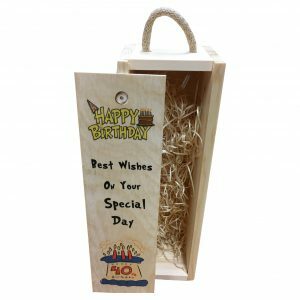 This wine boxes can be personalised with any message which makes this gift a unique and special gift for your Usher. 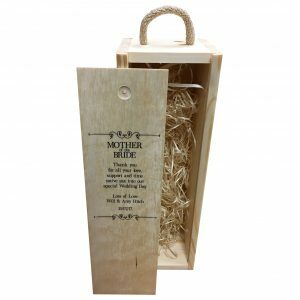 Personalised Mother of the Bride Wine Box makes the perfect presentation box for any standard size 750ml, wine, spirit or bottle of champagne. This wine boxes can be personalised with any message which makes this gift a unique and special gift for your Mother. 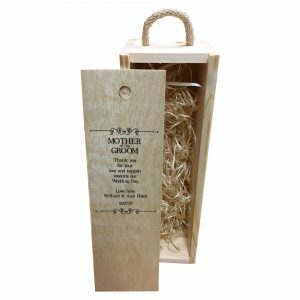 Personalised Mother of the Groom Wine Box makes the perfect presentation box for any standard size 750ml, wine, spirit or bottle of champagne. 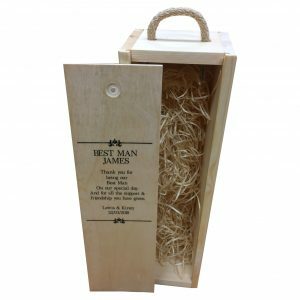 Personalised Bridesmaid Wine Box makes the perfect presentation box for any standard size 750ml, wine, spirit or bottle of champagne. 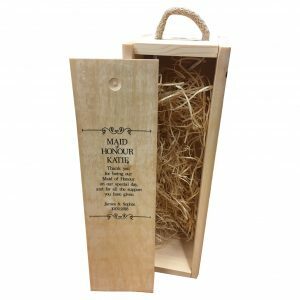 This wine boxes can be personalised with any message which makes this gift a unique and special gift for your Bridesmaid. 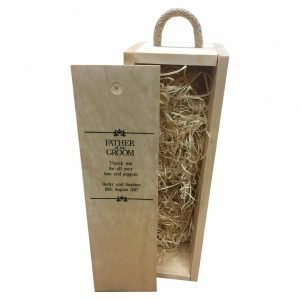 Personalised Father of the Groom Wine Box makes the perfect presentation box for any standard size 750ml, wine, spirit or bottle of champagne. 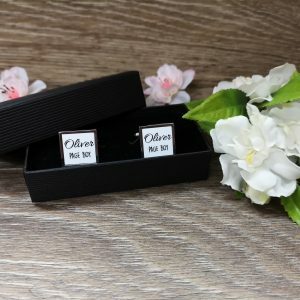 Personalised Page Boy cufflinks printed with your Page Boys Name now only £9.99 per pair. 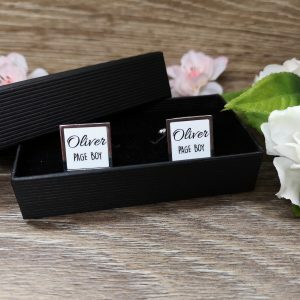 Cufflinks come presented in a black ribbed cufflink box to make these a lovely gift.